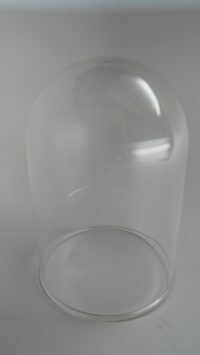 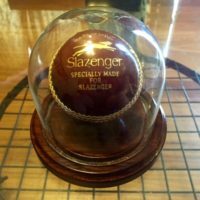 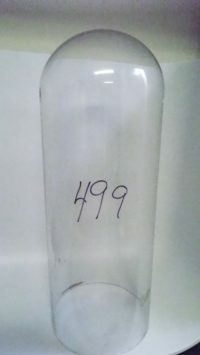 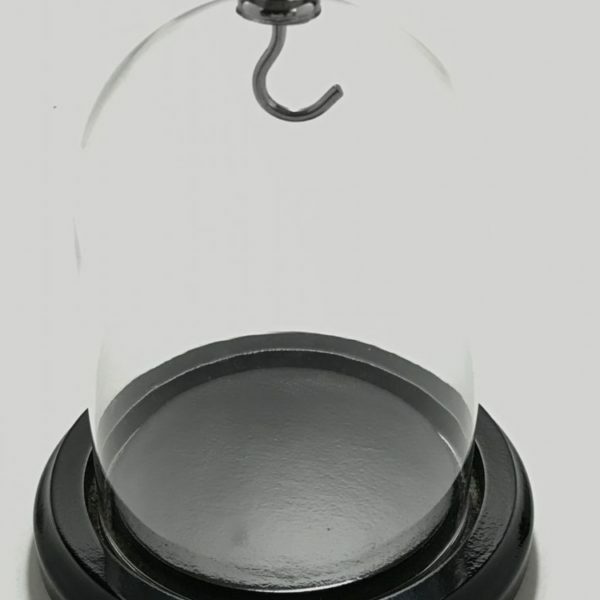 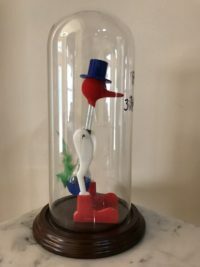 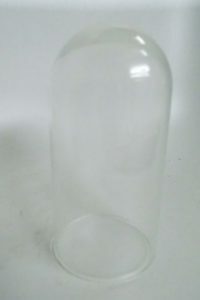 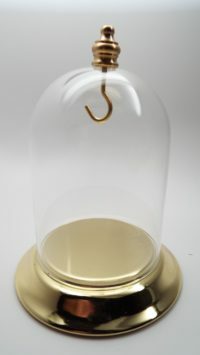 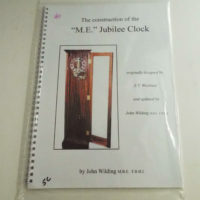 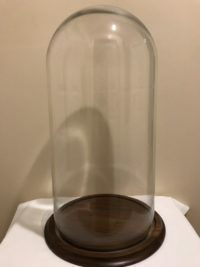 Size: 3 x 4″ high for the dome only, It is 5″ tall with the silver knob (outside measurements) Internal measurement of the dome is 2 13/16″ There is 3″ from the hook to the base. 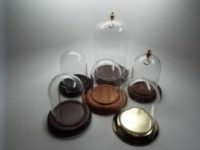 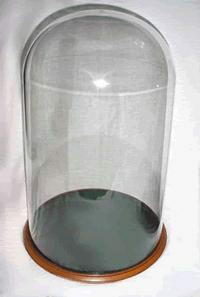 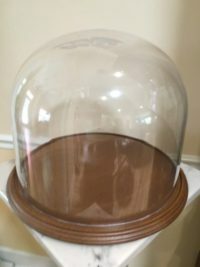 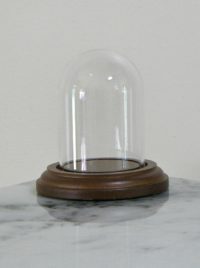 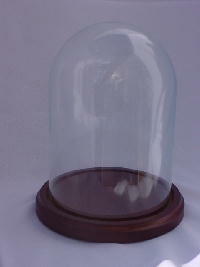 Base: We offer a base in walnut, black and oak with this dome. 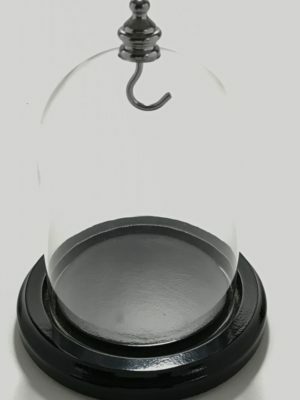 The default is black.